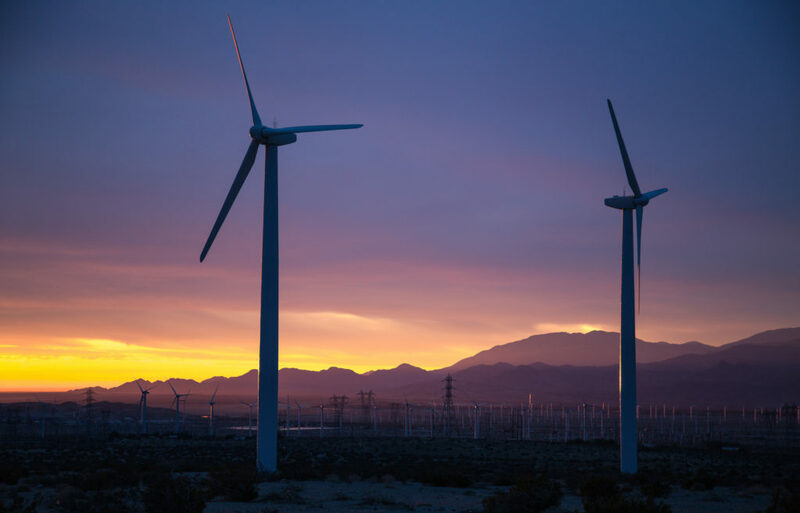 A recent study by Harvard University researchers published in two papers looked at the environmental impact of installing sufficient wind power to meet all the energy needs of the US. While doing so would be far better for the environment than burning coal, it would not have negligible impacts. One important finding of the study is that the amount of land area needed to produce enough energy is considerably larger than what other estimates claimed. The reason is that other estimates did not consider the so-called “wind shadow” effect. Each wind turbine creates a wind shadow behind it where air has been slowed down by the turbine blades. For isolated wind turbines, interactions are not important, but when wind farms become large, they have a major impact on the power density – how much power can be generated over a given area. A second result of the study is that sufficiently large wind farms would actually impact the local climate systems. In a computer model, they covered one third of the continental U.S. with enough wind turbines to meet the country’s entire electricity demand, an unrealistic but interesting proposition.. That scenario would actually warm the surface temperature of the continental U.S. by 0.24 degrees Celsius, with the largest changes coming at night. The warming comes from actively mixing the atmosphere near the ground and aloft while simultaneously extracting from the atmosphere’s motion. The study is not a fundamental critique of wind power. In fact, they observed that wind power can actually cool polar regions. The main point is that the impacts of renewables must be fully assessed in making strategic decisions. When it comes to energy production, there is no such thing as a free lunch. Photo, posted December 11, 2014, courtesy of Tony Webster via Flickr. ‘Environmental Impact of Wind Power’ from Earth Wise is a production of WAMC Northeast Public Radio.